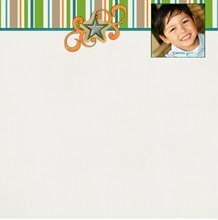 Just one of my fave Artscow product are these Personalized Memo Pads that comes in 2 sizes. I ordered the small one before to give as gift to my niece and true enough she loves it. I also ordered a couple of pads for myself that I can use to put my notes for the day, things to buy like Moen faucets for the house, my wish list or just about anything I want to take note of. It's now on PROMO and you can get these 2-pack memo pads for just $2.99, or add an extra a dollar to upgrade to the larger editions. They offer FREE worldwide shipping. Hurry, grab some of these now! Oh, BTW, I made some Memo pad templates at Artscow, you can use it for FREE if you have no time designing one for yourself.